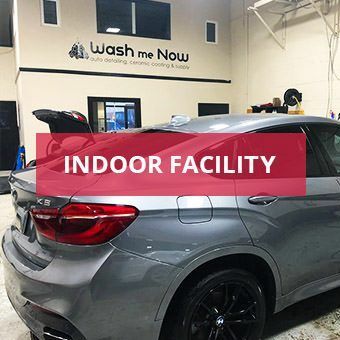 Wash me Now is your expert, fully mobile auto detailing service in Toronto and the GTA, with an indoor facility available as well. We bring quality auto detailing services straight to your doorstep, with a fully equipped van and skilled professionals ready to do the job on the spot. No matter if you need a detailed exterior scrub or a professional interior steam cleaning, Wash me Now will be there to make your car, trailer, van, boat, truck, or any other vehicle look squeaky clean. All of our car detailing treatments are delivered with a personal touch and the utmost care for your vehicle. 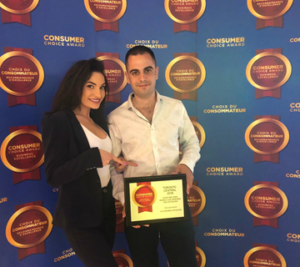 We believe in strong commitment, hard work, and dedication that leads to 100% client satisfaction. 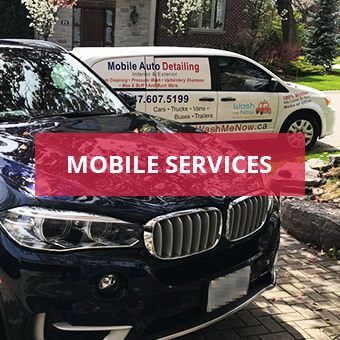 Our goal is to provide all our clients with easy, hassle-free detailing services with our mobile auto detailing unit ready to meet you anywhere in Toronto and the GTA. Our services range anywhere from auto detailing to boat / RV detailing and corporate detailing. 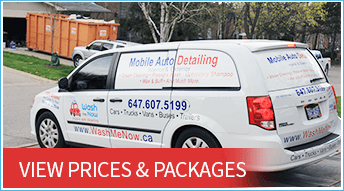 We provide the highest quality mobile auto detailing in Toronto and the GTA, with indoor facility available as well. We come to you, anytime and anywhere, so you can experience the best interior and exterior detailing while at home or at work. Our fully stocked van has everything needed to make your car pristine clean in no time! Servicing all makes and models of vehicles, we can provide you with expert detailing for your car, van, truck, bus, trailer, and more! Our truck is a self-contained mobile wash unit. It is equipped with everything needed to provide you with the finest exterior and interior detailing! 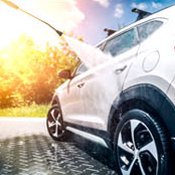 Power, water, pressure washer, carpet cleaner, vacuum cleaner, steam cleaner, air compressor – we bring it all, so your car will look spectacular once we’re done with it! Although it’s a well-known fact that you should never judge a book by its cover, this wise saying doesn’t apply to your car or any other vehicle you own. A dirty and poorly maintained car will never speak nicely about you. Luckily, Wash me Now has a complete list of auto detailing services to make your car the belle of the ball in no time. 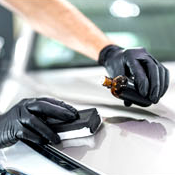 From detailed exterior hand washing to headlight restoration; from exterior windows and mirrors to the tiniest parts such as door jams, our experts will scrub away any nasty stain and restore your car’s previous glow, top to bottom. Like on the outside, so on the inside. It doesn’t make much sense to do a complete treatment on the outside and have the interior look like it’s falling apart. With Wash me Now, you can have your cake and eat it too, because we can provide you with expert interior cleaning in no time. We can do it all, from leather seats detailing to meticulous pet hair removal; from windows and mirrors to panels and compartments, we can clean your car’s interior from top to bottom. And don’t worry, your trunk is also included in our packages. There’s no doubt about it, the engine of your vehicle is its most important part. That’s why you need it to be in tip-top shape at all times. 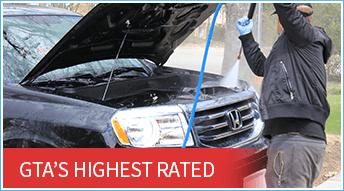 We’re proud to offer efficient and high-quality engine detailing service to all our clients. 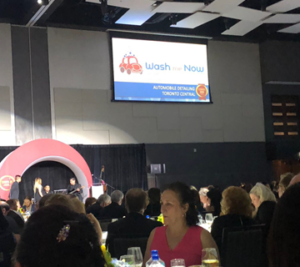 With our level of dedication and expertise, we’re your indoor facility and mobile car detailing service that covers all your needs from top to bottom. As part of our expert detailing services, we can help your engine look cooler and run smoother. With our meticulous engine detailing, we’ll be able to identify potential issues such as worn belts and rubber hoses. We are fully certified to offer Ceramic Pro services to our trusting clients. This type of coating can provide your vehicle with amazing protection, durable shine and easy-to-maintain protective layer that will help your car look like new at all times. Ceramic Pro is a long-lasting solution. When applied, this coating transforms itself to a permanent and flexible glass shield, providing 3 times the firmness and self-cleaning features. It helps prevent rust and presents a great way to save money on other detailing services such as waxing. At Wash Me Now, we are proud to offer the innovative and highly effective vehicle cleaning known as steam cleaning. Steam is known for its cleaning power as well as its ability to kill off harmful bacteria. As the steam is released along every inch of your vehicle, you will see it transform before your eyes! Get rid of dirt, grime, stains, odors, and other polluting agents with one extremely efficient cleaning method. Steam cleaning disinfects, cleans and neutralizes any space. No rubbing, no scrubbing, and no harmful chemicals. Just steam power all the way for the best interior auto detailing! Fill in the form below and one of our friendly and knowledgeable representatives will call you back as soon as possible! Our team pays close attention to even the finest details. Every Wash Me Now client enjoys the very best results supported by our satisfaction guarantee. Both exterior and interior detailing is performed by experienced professionals using only the best products and equipment. We know just where dirt and grime like to hide and we make it our mission to make your car squeaky clean! Our team pays close attention to even the tiniest details. 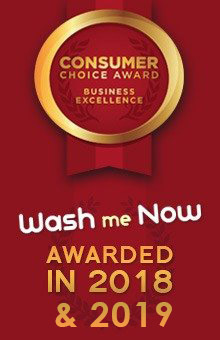 Every Wash Me Now client enjoys the very best results supported by our satisfaction guarantee. Both exterior and interior detailing is performed by experienced professionals using only the best products and equipment. We know just where dirt and grime like to hide and we make it our mission to make your car squeaky clean! Polluting agents that constantly build on the inside and outside of your vehicle can produce some serious damage to its paint job and lead to rusting and paint peeling. Luckily, our car detailing services can help you preserve the life of your vehicle for much longer. 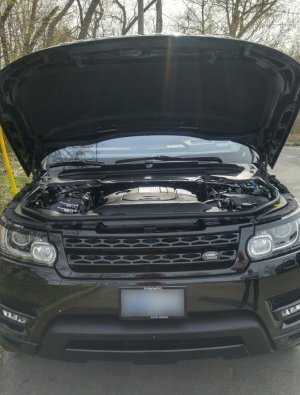 Our expert auto detailing team arrives at your home, office, or any other place to provide you with the best detailing anywhere in Toronto and the GTA. 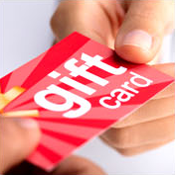 We offer a wide range of options, from basic packages to more specialized deals. 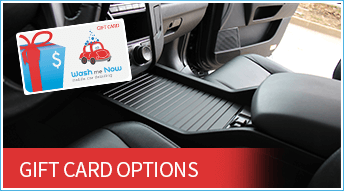 Our optional extras can be added to any package. 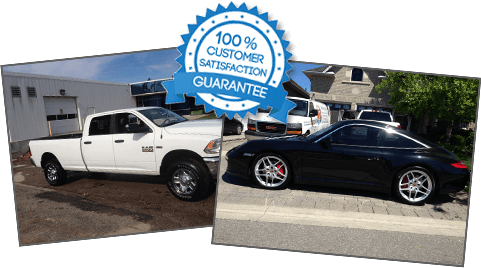 Each package is designed to suit various auto detailing needs as well as your budget. Our affordable services will fit any budget, and our mission is to provide each and every one of our clients with expert service without producing damage to their wallet. 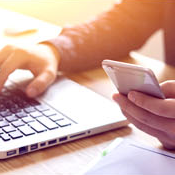 That’s why we offer a variety of optional mobile services in addition to our basic packages, which will satisfy all your needs. 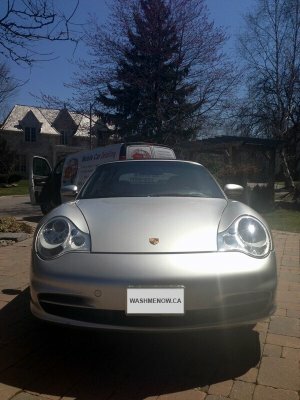 We can provide you with superior mobile auto detailing services no matter where you are in Toronto and the GTA. Simply select which services you need and contact our team of professionals. 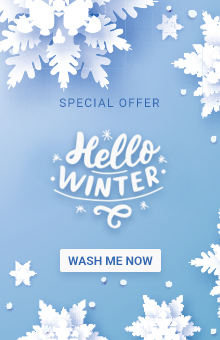 For affordable and high-quality services, contact our experts at Wash Me Now today! Steam Cleaning Power – At Wash Me Now, we use the power of steam to safely remove dirt inside and out! Not only does this method use minimal water, but it also acts as a powerful disinfectant! Enjoy top quality results that won’t risk your car’s perfect finish! Leather Cleaning and Conditioning – Vehicles with leather interiors need a bit of extra care to keep this material supple and beautiful. We use only the best cleaning and conditioning products to keep your leather from becoming brittle from the cold in winter and the harsh summer sun. Clay Bar Treatment – This treatment is fantastic for removing debris and dirt from the surface of your car without scrubbing or rubbing! Removing tough dirt need not result in damage to the paintwork thanks to this safe and fast method! Remember, the sooner you remove that dirt, the less its impact will be on your perfect paint job! Menzerna Paint Sealant – Give your car that extra layer of protection with our Menzerna Paint Sealant treatment! This is an excellent product that will give your vehicle a deep, natural shine. Professionally applied by our team, you will enjoy the benefits for months! Sealing the paint protects more than just the paintwork itself. It’s also helps the underlying body of your vehicle withstand the elements. Ozone Generator – Pets, children, food, and those who suffer from motion sickness can really take their toll on the interior of your vehicle! Ones those smells take hold, it’s tough to get them out. This is where our Ozone Generator comes to your rescue! Give your car back that fresh scent and take pleasure in driving once again! 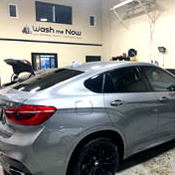 At Wash Me Now, we have extensive experience working with a wide variety of vehicles. From sedans to SUVs and everything in between, there’s no job too big or small for our indoor facility and mobile detailing service! Families usually rely on at least one or two vehicles to get to work, school, do shopping, and other activities. In most cases, these cars spend more time on the road than they do park at home! 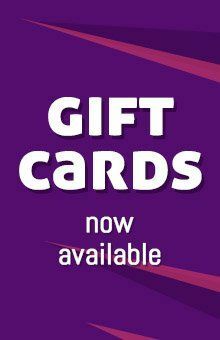 Just another reason why our mobile approach is so convenient! Simply provide us with the address and we will come to you anywhere in the Greater Toronto Area! Our packages and optional extras make it easy for anyone to find the best option to suit their needs and budget. 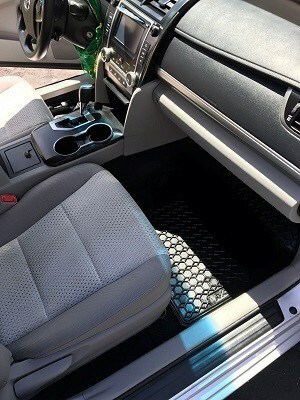 We are proud to have experience in detailing all makes and models and we know where dirt likes to hide! Our team also has extensive experience working on luxury vehicles, including specialized vehicles like Tesla. Our careful cleaning approach focuses on achieving the best results with the least invasive methods and products. Since we come to you, you can also take comfort in knowing that your vehicle will not need to leave your premises or be moved. Our team also has extensive experience working on luxury vehicles, including specialized vehicles like Tesla. Our careful cleaning approach focuses on achieving the best results with the least invasive methods and products. Since we come to you, you can also take comfort in knowing that your vehicle will not need to leave your premises or be moved. No matter if you’re looking for professional detailing services for an old-timer, a classic, or the newest edition of your luxury car brand, we can help you keep your favorite pet in excellent condition. 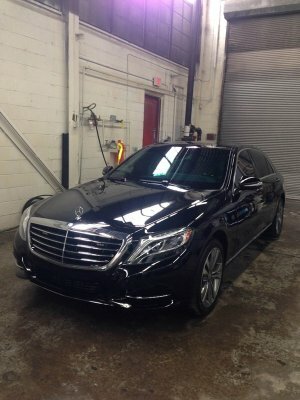 Our skilled professionals know how to take care of any luxury car with the utmost dedication. We use only tested cleaning products that are guaranteed to preserve your car’s beautiful appearance without producing any type of additional damage. Contact us today for professional and meticulous luxury car detailing services!